It's hard to buy unique and useful gifts for weddings because you know the gifts get duplicated and, more often than not, returned, donated, or given away. 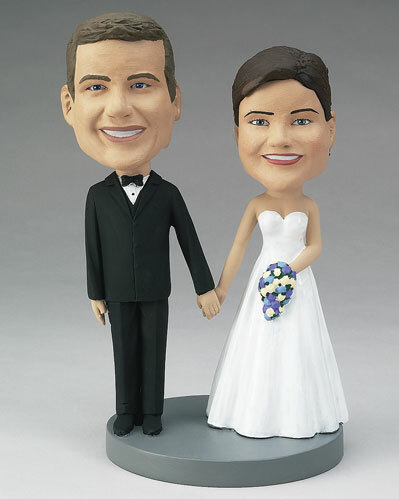 Why not customize a bobblehead for the newlyweds? This distinctive gift will be a decoration they can use in their new home, and you can get it personalized beautifully. The base can also be engraved with the date of their wedding or a special message from you. It�s a wedding gift the couple will remember forever!